You will be hard pushed to find a playground closer to the beach than Carrum Beach Playground, refurbished by Kingston Council a few years ago, accompanied by a new Surf Lifesaving Club building, a boardwalk, and public toilets. Positioned right by the beautiful yet understated Carrum beach in Melbourne's South East Suburbs, this playground is suitably beach themed with a cute lighthouse complete with telescopes for the kids to play pirates and look out to sea, a mini boat and play equipment decorated with sea creatures to explore. You will also find the usual playground swings and a blue self-spinning tea cup ride for the kids to enjoy. 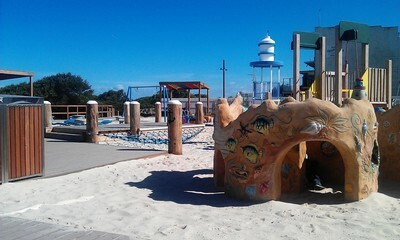 Carrum Beach Playground is ideal for younger kids because it is mostly gated and fenced. 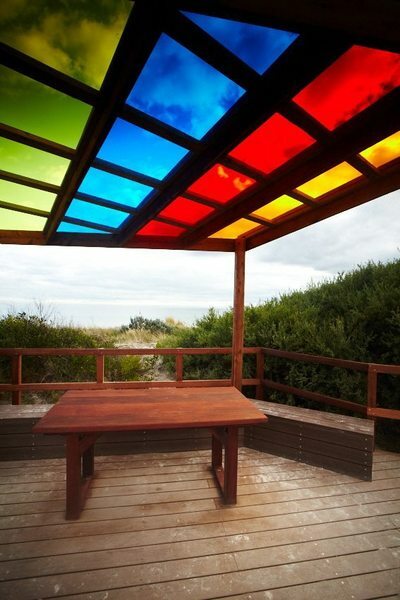 There are a handful of wooden deckchair fixtures on which to relax while the children play, and two under cover picnic tables each with a shelter reflecting stunning colours when the sun shines through. You can park your car right by the playground, but in summer you might find parking places limited. If you hold a Kingston Council Parking Permit (available to all Kingston Council residents) then parking is free, otherwise it is metered. 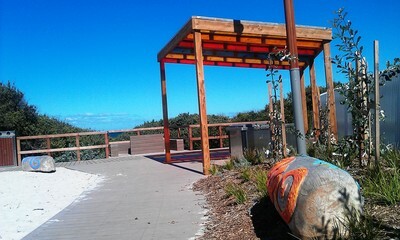 Carrum Beach Playground is a little tucked away; if you are driving, you should look out for a blue sign marked 'Beach Parking' on the Nepean Highway, just after Carrum train station and turn right (if driving away from the CBD) to the get to the car park. 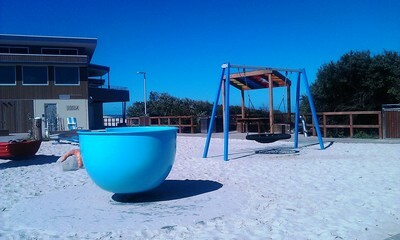 Alternately, Carrum Beach Playground can be reached by public transport, a short walk from Carrum train station. 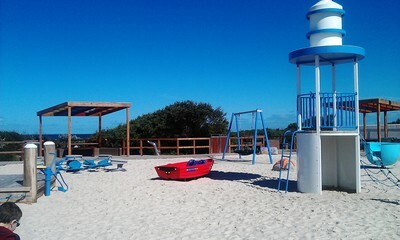 This gem of a playground is an ideal spot for the family in summer, do stop by if you get the chance.